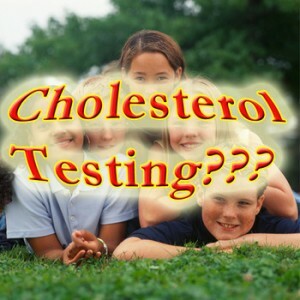 Would it surprise you to know that even kids who are not overweight are testing high for cholesterol? In a recent press release, HealthDay News reported the following news about a new study, in Texas. The study demonstrated that one of three Texas kids screened for cholesterol between the ages of 9 and 11 had borderline or high cholesterol, potentially placing them at greater risk for future cardiovascular disease. The lead study investigator, Dr. Thomas Seery, a pediatric cardiologist at Texas Children’s Hospital and an Assistant Professor of Pediatrics at Baylor College of Medicine, in Houston, shared that obese kids were more likely to have abnormal cholesterol levels, but a large percentage of normal-weight children also had borderline or high cholesterol, “The reality is that 35 percent of kids who were not obese had abnormal cholesterol as well,” Seery said. Seery and his colleagues undertook their research after new guidelines for juvenile cholesterol screening were issued by the U.S. National Heart, Lung, and Blood Institute in 2011 and endorsed by the American Academy of Pediatrics. The guidelines call for all children between the ages of 9 and 11 to undergo a cholesterol screening, with a follow-up screening between ages 17 and 21. To see what these screenings might reveal, the researchers reviewed the medical records of nearly 13,000 children tested for cholesterol levels between January 2010 and July 2013 as part of a routine physical exam within the Texas Children’s Pediatrics Associates clinics, a large pediatric primary care organization. Boys were more likely to have abnormal levels of total cholesterol, “bad” LDL cholesterol and triglycerides (blood fats). Girls were more likely to have abnormal levels of “good” HDL cholesterol. Hispanic children were more likely to have abnormal levels of triglycerides and HDL cholesterol. Obese children were more likely to have across-the-board abnormal levels of every type of cholesterol, with 41 percent suffering a borderline or high total cholesterol levels. About 35 percent of healthy-weight children had abnormal total cholesterol levels. Dr. Seery hopes these findings will lead pediatricians to follow the recommended cholesterol screening guidelines for children. These screenings present the perfect opportunity for clinicians and parents to discuss the importance of healthy lifestyle choices on cardiovascular health,” he said. “Our findings give a compelling reason to screen all kids’ blood cholesterol. Doctors and parents should emphasize the importance of a healthy diet and regular exercise in controlling cholesterol levels in kids,” he said.